IT’S THE TIME of year when the evenings are getting shorter but the childrens’ Christmas lists are getting longer. Now that Halloween has come and gone, commercial interests have turned their attention to Christmas, and they want you to play along. While Santa always does his best to deliver, there are a number of ways you can make sure that a Happy Christmas doesn’t lead to a pain-filled New Year financially. Thankfully, over the past number of years, everyone has gotten better at adjusting their own expectations and those of their loved ones. There is always a temptation, however, to overspend and treat the people in our lives to a present that is beyond our means. While admirable in its intentions, sometimes the ways in which people fund these treats can hang over them long after the Christmas decorations have been put away. The aim of The Society of St Vincent de Paul is to help tackle poverty, and part of this aim is to make people aware of the options available to them as well as their rights. While we encourage people to try and save money each month, we recognise that this is not always possible, especially in the run up to Christmas. Despite other options being available (bank and credit union loans) sometimes people opt to us another source – moneylenders. To be clear, a moneylender is defined as anyone, besides a bank, credit union, building society or hire purchase company, who loans money or goods to an individual for financial gain. They are bound by the Consumer Credit Act, 1995 which, in addition to protecting the borrower, places obligations on the moneylender and binds them to a code of behaviour. Moneylenders are only legal if they have a moneylending license from the Central Bank (you can ask to see this). If they break the rules, they can lose their license and the loan agreement may no longer be enforceable by law. The moneylender must provide an agreement that is required by law to have the words “Moneylending agreement” written prominently on it. You can ask for a copy. The borrower can cancel a loan within 10 days of signing a loan agreement. The moneylender may request, however, that they sign a form that denies them of this right. It is perfectly legal for the moneylender to request this. This moneylending agreement is required to be retained by the moneylender for five years after the final repayment has been made. Barring any necessary legal intervention, this agreement – and its contents – should not be revealed to anyone other than the borrower and the moneylender. In considering a person for a loan, a moneylender must obtain proof that a person has the capability to repay the loan. If they don’t, the loan should not be issued. Can there be any additional charges? There may be a collection charge if the repayments are not made at the moneylenders place of business but, like everything else, this should be laid out clearly and ahead of time. A repayment book should also be “completed and maintained” by the moneylender, but remain with the borrower. The details contained in this are similar to the moneylending agreement, but it also contains repayment information which is filled in as they are made and signed by the moneylender. 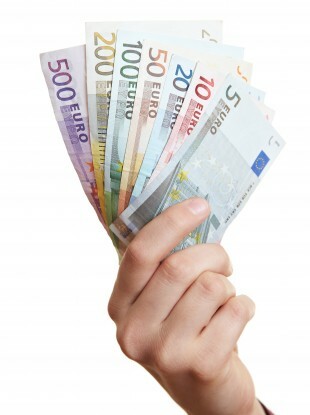 Moneylenders cannot offer another loan in order to help clear a previous one. Moneylenders cannot alter the interest and charges that you have agreed to pay. Moneylenders cannot take personal documentation from you, such as social welfare documentation. Moneylenders cannot collect, or seek to collect, payments before 10am or after 9pm Monday to Saturday. No payments can be sought on Sundays or public holidays. Moneylenders must have a license. To view the list of registered moneylenders, please click here. Breaches of the code of behaviour that bind moneylenders are serious offences and the borrower has the right to report this to the moneylending company itself and – if the outcome is not satisfactory – the Financial Regulator (Locall: 1890 777 777). An Garda Síochána can also be contacted. If you feel you require help with budgeting or are in financial you can contact your local Money Advice and Budgeting Service (MABS) office, your local Community Welfare Officer or your local conference of St Vincent de Paul. Colm Buckley is an active member of the St Vincent de Paul Society (SVP) in Donegal. Its membership of 10,500 volunteers throughout the country are supported by professional staff, working for social justice and the creation of a more just, caring nation. Email “Explainer: What are the rules that govern legal moneylenders?”. Feedback on “Explainer: What are the rules that govern legal moneylenders?”.